The winter wedding decor you choose for your big day can turn a boring, off season wedding into a magical event. All it takes is a little creativity and thought to put it all together. There are several very big holidays during the winter season that can be used as a springboard for wedding decor ideas. You have the option of planning your entire wedding around a holiday, which many couples end up doing. The month you choose will help to determine the decor you will use for your big day. December weddings can have a completely different feel than a February wedding. The holidays bring people together, and the holiday season can create a magical atmosphere for your wedding day. Many religious houses and reception spaces will be decorated for the holidays which can help guide you when it comes to decorating for your reception. Try to visit your reception space a year before your wedding to see how it will be decorated on your big day. Take notes of where they put decorations and what the style is of the decorations they use throughout the space. If you aren't able to visit your reception space a year before your wedding, ask them how they typically decorate and if they have photos available from past years. Your wedding colors can play a big part in your wedding reception decor. You may not initially think that you have a lot of color options, but you really do. There are many shades of blue that work well in winter, and red works great if you are getting married around Valentine's Day. Again, check with your reception space to see what colors might work best. A great starting point for decor is to choose a winter wedding theme. There are some really fun options to choose from for a wintry wedding. Blue ice is a fun cold weather favorite that can warm up your guests. 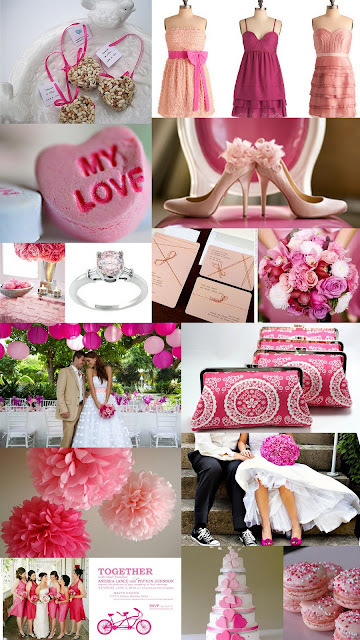 Christmas weddings can also be fun, and there is always the option of a Valentine's Day wedding theme. A sure sign of winter is a snowflake, and they make a great wedding theme. Choosing an item, like snowflakes or hearts, can easily turn into a great wedding theme. When you have chosen your reception space, wedding colors and winter wedding theme it then comes time to put all the pieces together. Doing your research and planning work up front will save you a lot of headaches when it comes time to execute your winter wedding decor. Don't forget to rely on your wedding vendor for reliable help. Your florist, caterer and wedding planner are huge assets to have during the entire process.